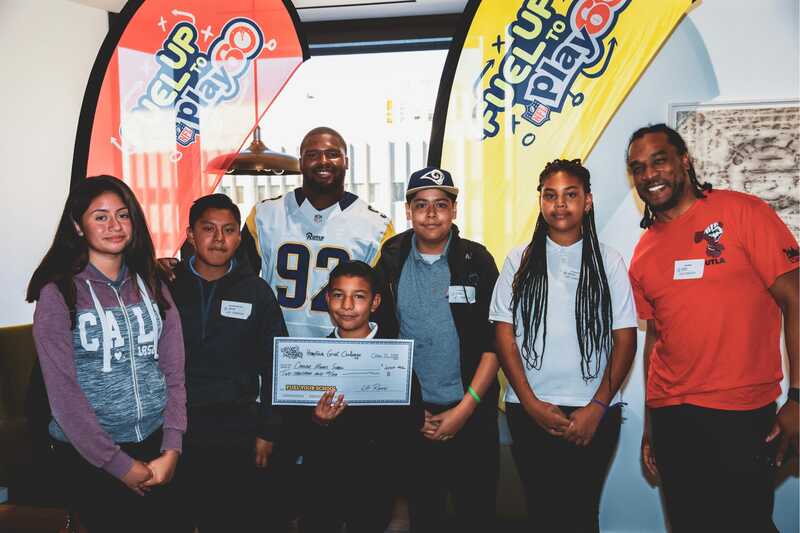 The Los Angeles Rams and Fuel Up to Play 60 recently awarded funding to Los Angeles Unified School District middle schools to expand student health and wellness through the ‘Hometown Grants’ program. On October 23, a total of $10,000 was awarded during a special visit to the Wasserman Foundation. 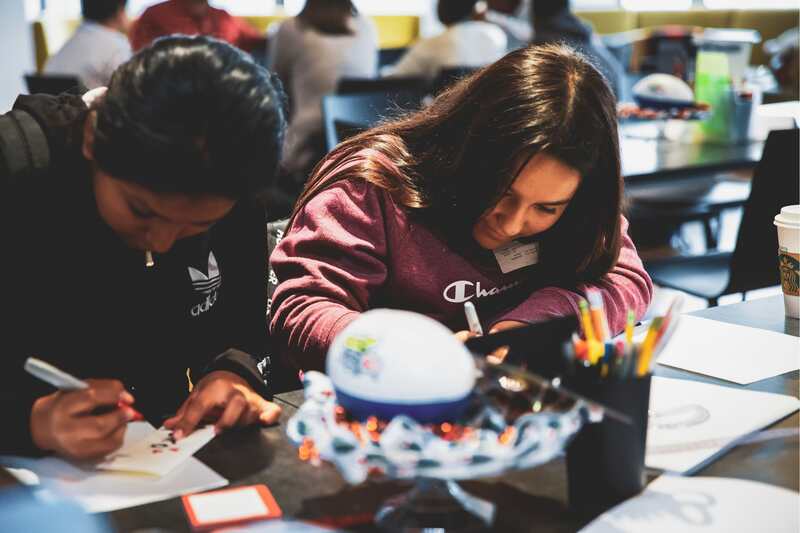 As part of the initiative, twenty students from four middle schools within the Partnership for Los Angeles Schools network attended a full-day workshop where they developed ideas to improve student access to nutritious foods. With the help of mentors including Rams front office staff, Rams cheerleaders and dairy farmers, students created business plans and pitched them to a panel of judges including: Rams Defensive Tackle TANZEL SMART, Rams Manager of Community Affairs and Player Involvement Zach Kinkeade, Rams Vice President of Community Affairs and Engagement Molly Higgins, and Wasserman Foundation Executive Director Rica Rodman. At the end of the workshop, each of the four participating schools received funding to support their ideas. Recipient schools included: Edwin Markham Middle School ($2,000), Hollenbeck Middle School ($2,000), George Washington Carver Middle School ($2,000), and Robert Louis Stevenson College and Career Preparatory ($4,000). Developed by the National Football League (NFL) and FUTP 60, the ‘Hometown Grant’ program provides teams and local dairy organizations with the opportunity to identify deserving schools or school districts and provide them with funding to help meet their health and wellness goals. Since the ‘Hometown Grants’ program launched in 2015, more than $160,000 has been awarded to California schools. 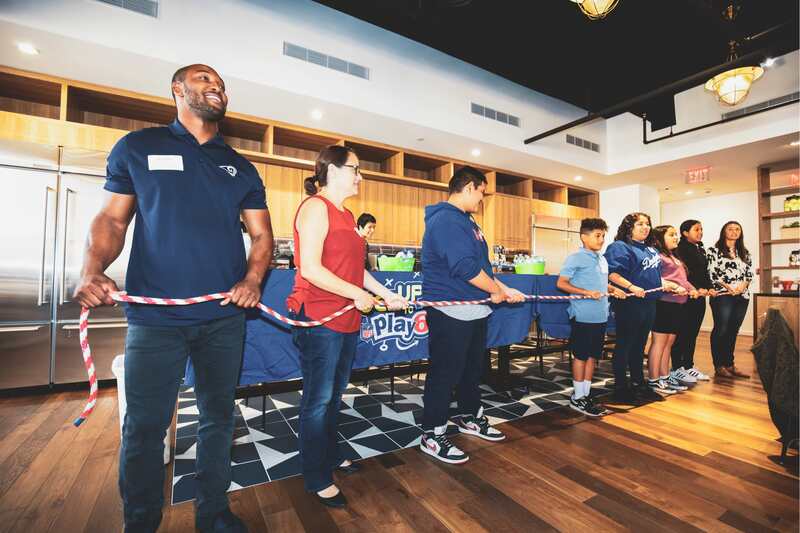 Each of the 32 NFL Clubs has participated in the program since its launch, resulting in a more than $1.6 million investment in youth health and wellness nationwide. Created in partnership by the NFL and National Dairy Council, in collaboration with the U.S. Department of Agriculture, Fuel Up to Play 60 is the nation’s leading in-school wellness program creating real transformational change in more than 73,000 schools nationwide since its launch in 2009.